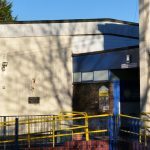 The school was inspected by ESTYN in December 2017. The pupils, staff and governors were very pleased to secure the following grades. 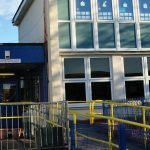 Blaenhonddan is also a GREEN school, which means that the school is highly effective and has a track record of raising standards. Blaenhonddan Primary is situated in the village of Bryncoch in Neath. It has over 250 pupils aged between 3 and 11 years. The classes are organised into single year groups from Reception to Year 6 with a morning or afternoon session for Nursery pupils. The school also has provision for 10 pupils with Moderate Learning Difficulties within Key Stage 2. Blaenhonddan is a happy, lively and successful school which provides exciting learning opportunities for pupils. 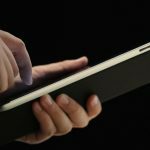 Literacy, Numeracy and Digital Competency skills are the driving force behind our curriculum. We aim to provide learning experiences that inspire, engage, motivate and challenge all pupils. We are working hard to ensure that we provide a curriculum that is fit for the 21st Century, which allows pupils to develop and acquire the skills they need for lifelong learning. We are also committed to teaching all of our pupils a set of values which enable them to develop into responsible and caring individuals. As parents, you are an essential part of the success of the school. It is very important to the staff and I that good links are created between home and school. We want this school to reflect your aspirations and our high expectations in terms of behaviour and achievement. We want this school to be a place where adults and children interact as lifelong learners. 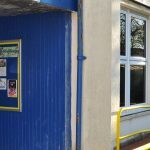 The information on this website is intended to provide you with a basic knowledge of how the school is organised and what opportunities we aim to provide. We hope that over the next weeks and months, you will learn more about the school and work alongside us to provide the best opportunities and support for the children. The staff, pupils and governors are all excited about the future of Blaenhonddan and I hope you will be too.